The constituents of a good strategic plan will always have plans of proper allocation of resources which can be reviewed later to make necessary adjustments. A good strategic business plan will always serve as an outline to take future decisions and set the benchmarks for the company. It differentiates itself from the day-to-day operational or short-term plans as it has more to do with vision and mission of a company rather than the plans which guides you to manage the day-to-day affairs by analyzing and measuring them. Once you have set your goals, you need to chalk out plans for business strategies. A good plan is like a mini-reward for you for only this, if implemented properly will lead you in the right direction and make you the leader in the market. Having a good business strategy plan is not the ultimate solution to your business but it is the foundation on which your building blocks of business lies. 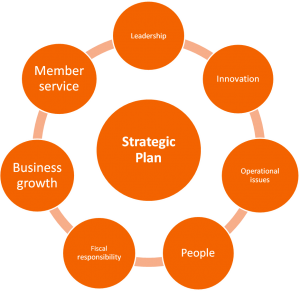 The strategic planning takes place at the corporate level where the strategies can take a more defined form at the level of SBUs (Strategic Business Units).